Don’t worry – this Dolar Shop isn’t a bargain shop selling party props or tourist tat. 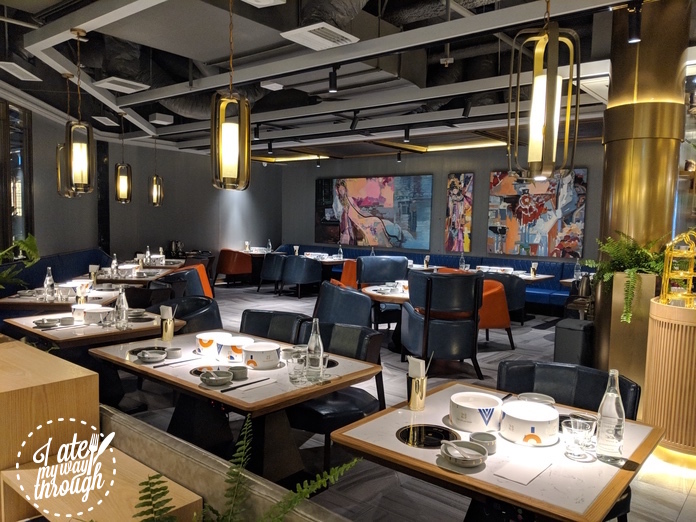 Rather a popular chain from Shanghai specialising in Macanese hotpot, Dolar Shop is the latest addition to the 1909 Dining Precinct in Market City Haymarket. However if you think it’s just another hot pot joint, think again. For starters, each diner gets his or her own mini pot. That means while I enjoy the spare rib broth as soup base, my other half can go chilli-crazy with his Szechuan Hot & Spicy broth which comes in three levels of heat intensity. The soup base is the first option you choose on the menu at around $10 per pot per person. Another essential is the dipping sauce. 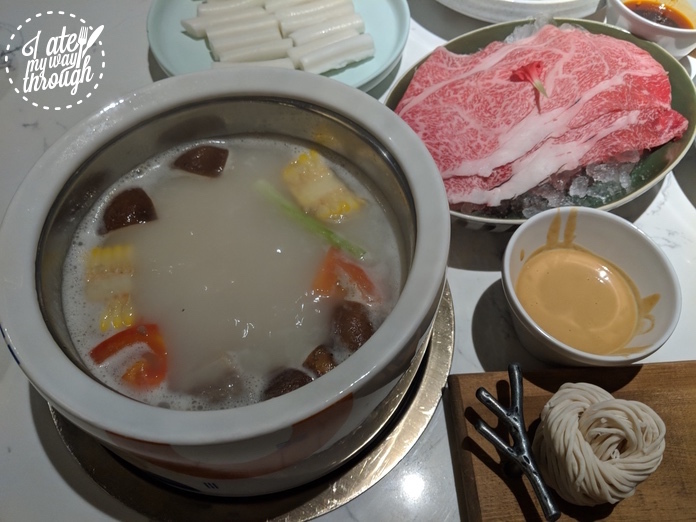 The restaurant claims to have “the most exciting and comprehensive Sauce Bar to hot pot that you have ever seen”. This is no exaggeration. 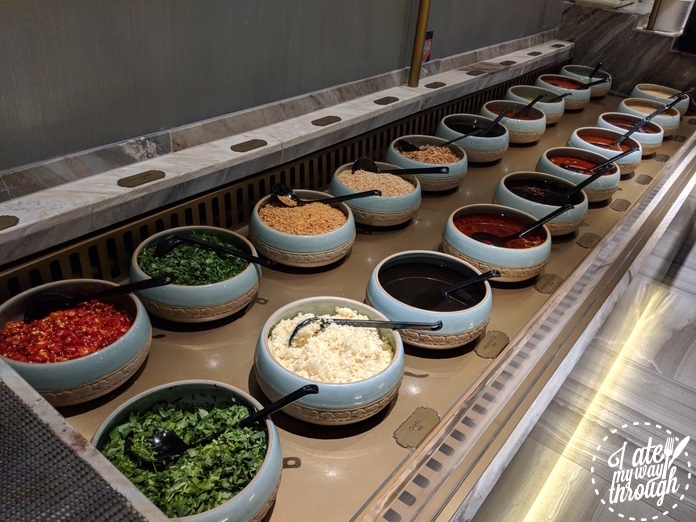 The entire sauce bar is about three meters long with no less than twenty types of dipping sauce and garnishes to choose from. Peanut sauce, sesame sauce, beef sauce, mushroom sauce… I had a hard time deciding which one to choose. The Dolar Shop Speciality Soy Sauce was brought to our table along with chopped up shallots and Thai chilli, and it was definitely a winner. 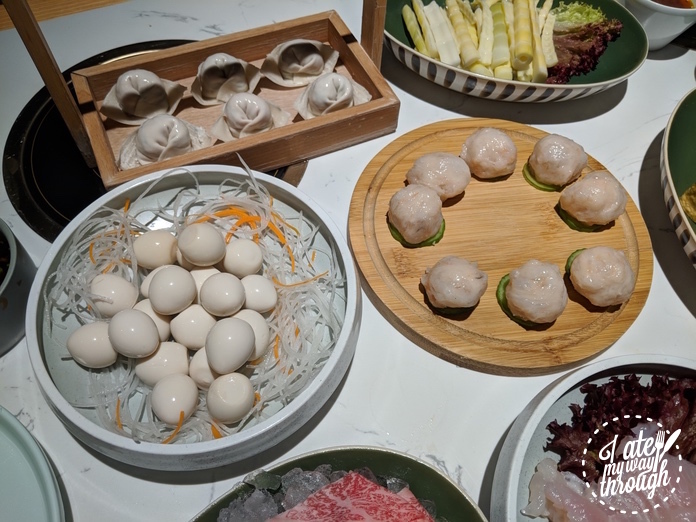 As a local Shanghainese would tell you, Dolar Shop stands out from traditional hot pot restaurant because it specialises in Macanese style prawn balls. To make the texture extra elastic, the minced prawn meat is beaten repeatedly until the mix is sticky and gluey. This beating process is the key to producing the signature prawn balls that Dolar Shop owes its reputation to. 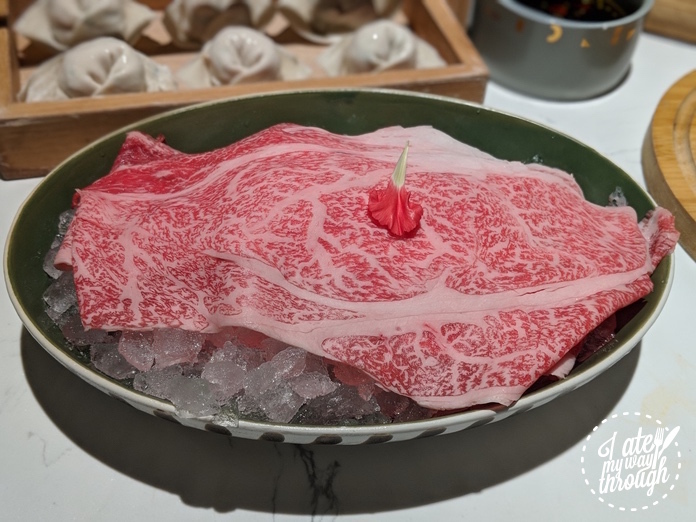 The meat section is dominated by various M9+ Wagyu cuts as the restaurant declares “we only offer the best beef”. Exclusive to Dolar Shop is the Japanese Kagoshima A5 Wagyu Chuck Roll, at $32/50g as a launch promotion. The only disappointment was we wished there was more. Once you have your protein sorted, vegetables and carbs are your next selection. 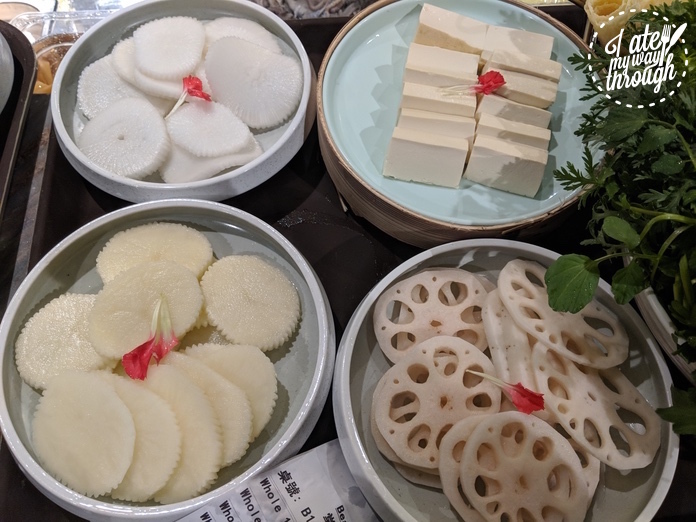 Winter melon and lotus root may sound exotic, but they are quite common ingredients for hot pot in Asia; bamboo shoot is another Asian favourite where only the tips of bamboo are used for cooking. At $5.90 we were also impressed with the generous serving of quail eggs. You can’t overcook them but it does take a bit of practice to pick them up with chopsticks. 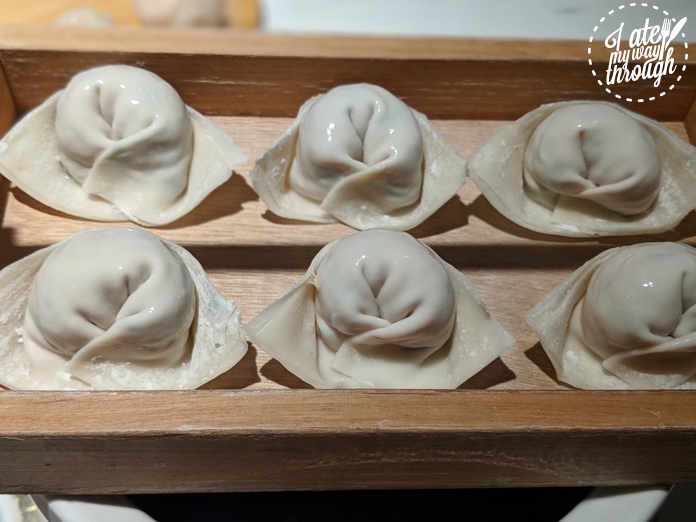 As the soup base soaked up all the flavours from meat and vegetable, it became a perfect broth to finish the hot pot with wontons and hand-crafted noodles. 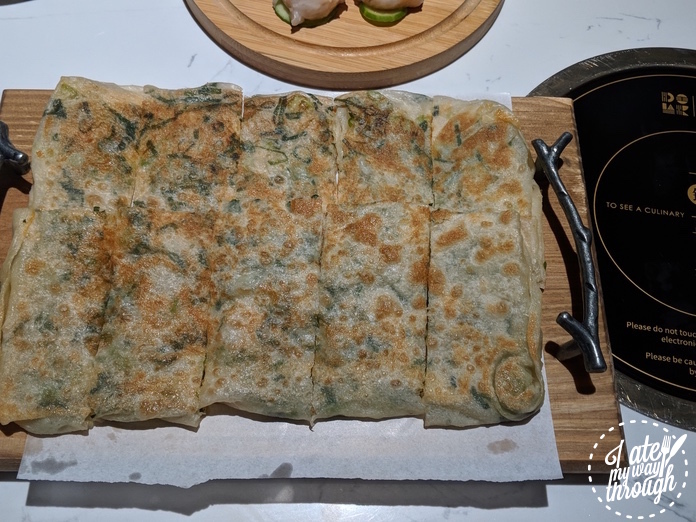 Throughout the meal, we cooked all the raw ingredients inside our individual hot pot; the only cooked food we ordered was the Green Onion pancake. For a split second we nearly dipped that into the hot pot but luckily the attentive staff corrected us in the nick of time. Hot pot may still be a new concept to most Sydneysiders but it seems only a matter of time before it catches on. After all, you choose the flavour, pick the ingredients and cook it to your liking in front of your eyes. Doesn’t it sound like fun? Previous articleWho Is Madame Shanghai?